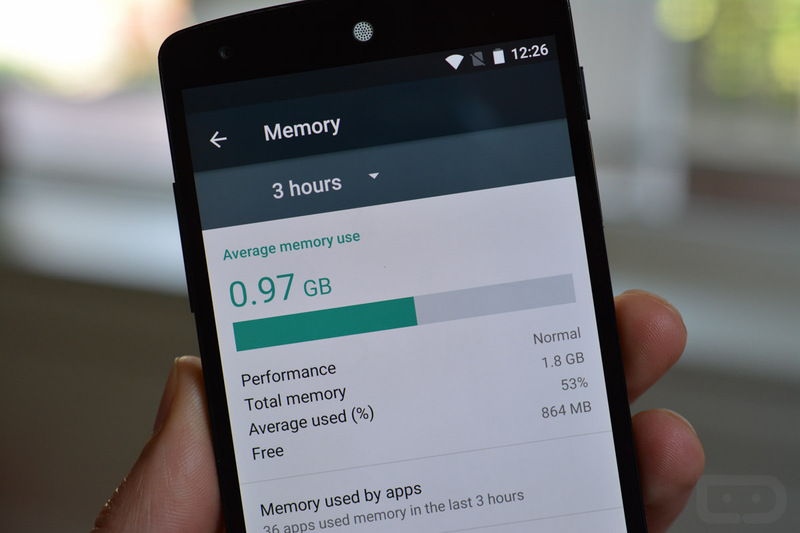 In the original Android M preview, Google added in a Memory management setting that was tucked inside the Apps section. 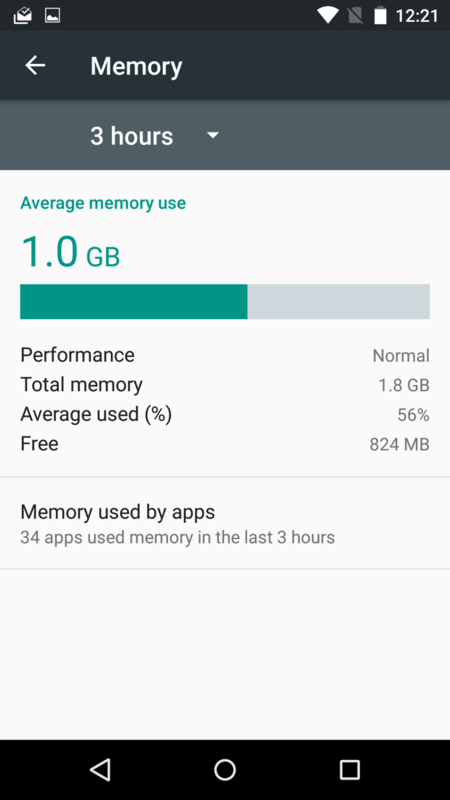 In this Memory setting, you could see how much RAM your system or individual apps were using based on 3/6/12-hour increments up to 1 full day. 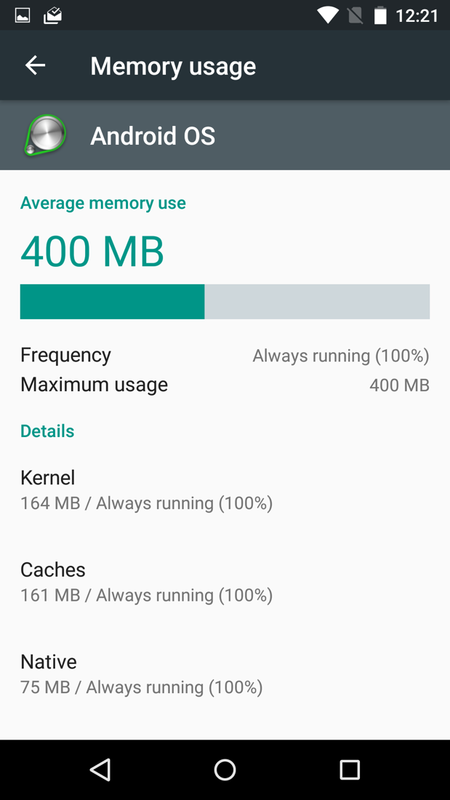 It was a handy feature for those looking at system hogs, but unfortunately, unless you knew to look in Settings>Apps>Advanced>Memory, you probably didn’t know it existed. 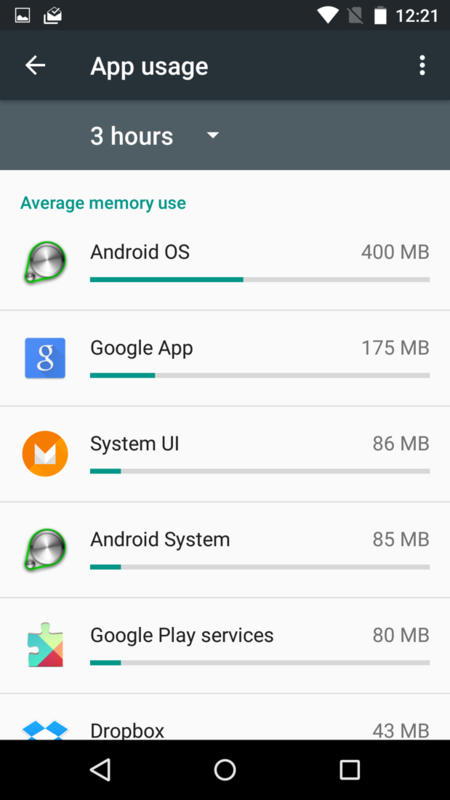 In the new Android M Preview 2 that just dropped, Google has pulled this Memory manager out from the depths of settings hell, and given it a prime spot in the general settings menu. Just under Battery and above Users, you will now see Memory. They also cleaned up the UI quite a bit, making it much easier on the eyes.